The advanced and effective TRS™ Flight keeps airline passengers moving swiftly through the security checkpoint even at the worlds busiest airports. The TRS™ Flight covers all your passenger processing needs at the security checkpoint. TRS™ Flight provides increased passenger throughput and checkpoint staff are able to spend less time as tray handlers and more time focusing on the security role and customer service. Rapiscan® Systems currently has over 200 TRS™ lanes deployed at airports worldwide and is confident in its ability to deliver time and again, TRS™ Flight is a solution that you can trust. The flexible TRS™ Flight provides the ability to easily update or modify the system to meet increased passenger numbers and new security regulations. Divestment: Flexible passenger loading options in either serial or parallel divestment are available in multiple lengths that can be added and removed according to airport needs. In feed & out feed: With a proven ability to integrate with a wide range of X-Ray and CT scanning equipment, Rapiscan® Systems offer ‘before and after’ customised modules as well as specialised base frames to enable the tray return system. Reclaim: Choice of module lengths provide a flexible redress area for passengers to claim their belongings and return the tray into the automatic reclaimer. 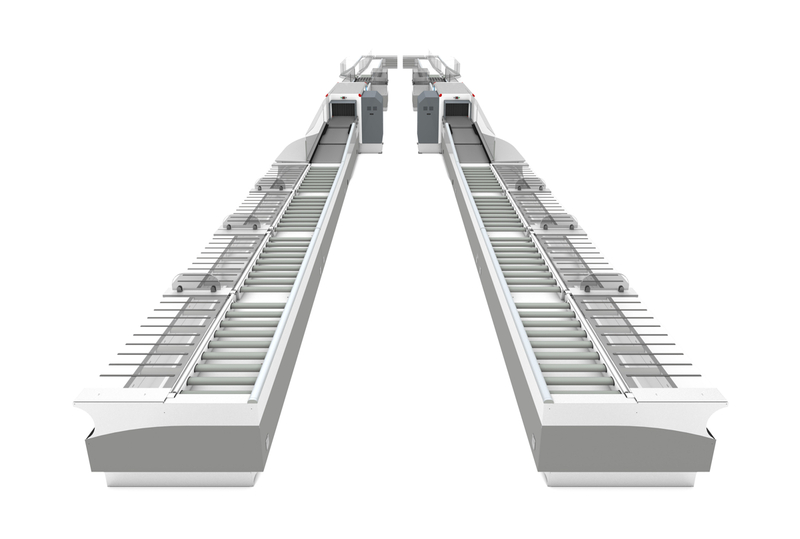 TRS™ Flight uses an efficient gravity system to automatically move trays which encourage passengers to move down the lane to maintain throughput. Divert & search: Depending on final inspection requirements, Rapiscan® Systems offer a range of search benches to accommodate recheck area, additional screens, bins and other security equipment. Parallel divestment is a modern, high throughput alternative to a traditional single file serial divestment solution. The high threat module is designed as an additional high security step in the operation of your airport. While TRS™ Flight integrates with the highly approved Rapiscan® Systems 620DV seamlessly - TRS™ Flight has been designed to work with any X-Ray security scanner that is currently in use by airports globally. TRS™ Flight trays have on average a 50% larger volume than the trays typically found in traditional systems which allows for less trays per passenger. They are also designed to nest and de-nest cleanly without the need for guides and complex alignment devices.